Check our Facebook page for the most up-to-date list of activities and giveaways. 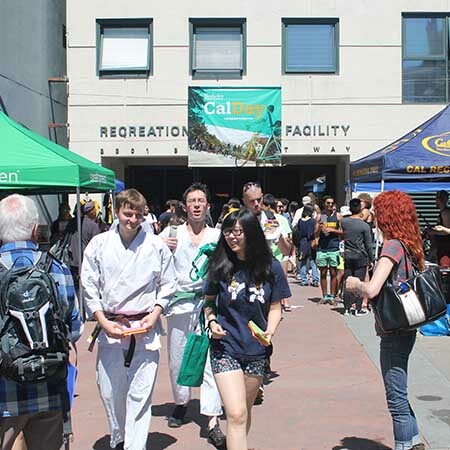 Share your photos at the event using #ShareCalDay to enter for a chance to win great prizes from our Golden Bear Rewards program. Don’t forget to enter for a chance to win an exotic tour trip with Contiki! Participants can enter by using the hashtage #ContikiContest. Please see the below qualifications for participant eligibility. Any legal resident of the U.S., 18 to 35 years of age is eligible to participate. Employees, officers, principles, directors or agents of UC Berkeley, Contiki U.S. Holdings, and their respective subsidiaries or affiliates, and members of their households or immediate families, are not eligible to participate.